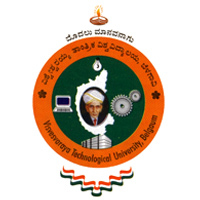 Download Visvesvaraya Technological University BE in Computer Science or Information science Engineering Fourth Semester Graph Theory and Combinatorics Question Paper of July, 2005 (2002 Scheme) in PDF Format | VTU 4th Semester BE in CS or IS Examination Question Papers | Visvesvaraya Technological University Previous Year or Old Question Papers | VTU Model Question Papers | Download VTU Question Papers in PDF Format | VTU ISE or CSE Question Papers. Here you can download Visvesvaraya Technological University (VTU) B.E in Computer Science (CS) or Information science (IS) Course Fourth Semester Graph Theory and Combinatorics Subject Question Paper of July, 2005 (2002 Scheme) & Download This Question Paper in PDF Format. Click Here, To Download VTU B.E in CS or IS 4th Semester Graph Theory and Combinatorics Question Paper of July, 2005 (2002 Scheme).